Has your dog been having loose stools, flatulence and occasional bouts of vomiting? If so, your dog probably has a sensitive stomach. Luckily, helping your furry friend feel better may be as simple as switching to a different dog food. To help you choose, here are our best food recommendations for dogs with sensitive tummies. What To Look For In A Dog Food For Sensitive Stomachs? Purina One Sensitive Systems dog food is our top choice because its ingredients are easily digestible. Salmon, the main ingredient, is low in fat and high in protein. Eating low-fat foods like salmon helps reduce diarrhea. Another benefit of eating salmon is its high omega-3 content. Omega-3s promote healthy skin and may reduce inflammation in your dog's GI tract. The next three ingredients are rice flour, pearled barley, and oatmeal, which are mild carbohydrates that are well-tolerated by even the most sensitive dogs. The ingredients list also features many important vitamins like B, K, and D. There’s also an antioxidant blend containing Vitamin A, Vitamin E, selenium and zinc. These vitamins and minerals will keep your dog’s immune system and joints nice and healthy. 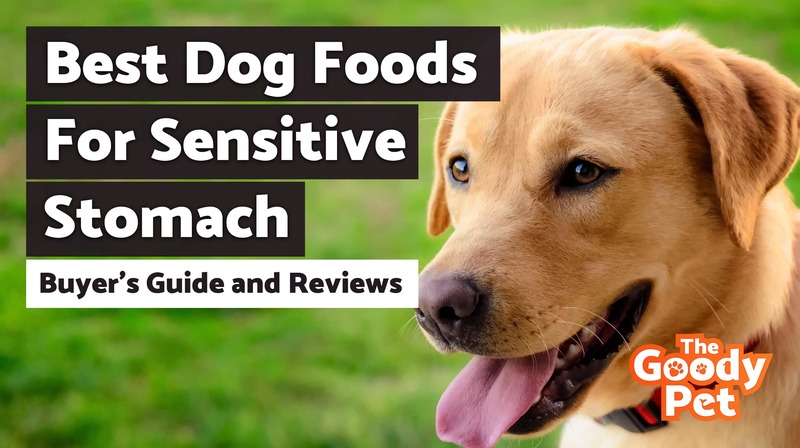 Most dogs suffering from stomach sensitivity will be able to thrive on this mild, nutritionally balanced food, which is why it gets top marks from us. Its full supply of nutrients alongside its vitamin content make it a top pick for dogs with sensitive stomachs. Purina Pro Plan dog food has a lot of the same features as our top pick, but it’s a bit easier on the wallet. Its main ingredients are salmon, barley, and rice, which are all easy to digest. This formula has more fiber than our top pick because of ingredients like barley and chicory root inulin, a type of prebiotic fiber. The extra fiber makes this food ideal for dogs who have loose stools because it will bulk things up. If your dog is gassy, though, we’d recommend avoiding this dog food because fiber can increase gas. One of the great things about Purina Pro Plan is that it doesn't contain common allergens like soy, corn, and wheat. If your dog shows signs of food allergies like chronic scratching, frequent ear infections, diarrhea or vomiting, then you should switch to an allergy-friendly food like this one. This dog food is nutritionally balanced, full of vitamins and minerals, and allergy friendly, so it’s a great alternative to our pricier top pick. This food provides the best value for money as it is cheaper than the alternatives, but has many of the top features such as a high protein value. If your dog has food allergies, this kibble from Natural Balance is a great option. It has a limited number of ingredients, so it exposes your dog to fewer potential allergens. It doesn’t contain wheat, which is a common allergen, or any other grains. Sweet potatoes and salmon are the two main ingredients. They make this dog food both low in fat and high in fiber. The low, 10% fat content in this kibble is great for dogs with diarrhea, which is one of the reasons we recommend this kibble. Additionally, this dog food contains balanced Omega-3 and Omega-6 fatty acids which will help your dog to maintain healthy skin. There are absolutely no artificial colors, flavors, or preservatives which means this food is suitable for all breeds which may have significant food allergies. This limited ingredient dog food is a great choice for dogs who have food allergies or diarrhea and has lots of vitamins and minerals to ensure that your dog will thrive on it. This dog food is the perfect pick if your dog has many food allergies. This dog food is jam-packed with important nutrients. Salmon is its main ingredient, so it has plenty of omega-3, omega-6, and DHA. The third and fourth ingredients are chickpeas and lentils, so there’s a fair bit of fiber in this formula. Twenty superfoods including blueberries and spinach round out the ingredients list. These fresh ingredients are full of antioxidants that will support your pup’s immune system and overall health. Additionally, it includes probiotics which are rich in fiber. This can make digestion easier for your dog and also promote excellent gut health. There is an excellent balance of ingredients in this food which means you can be sure that your dog gets the full amount of nutrients. This dog food is free of common allergens like corn, wheat, and soy, which is an added bonus. It means you can be confident that this food won’t trigger food allergies related to the above groups. This is one of the most nutritious foods for sensitive pups we’ve come across, which is why we recommend it. It is packed with nutrition which contains high-quality protein and many superfoods which means your Dog is able to thrive. The main ingredients in Diamond Care dog food are potatoes and eggs. Eggs are a great source of highly digestible protein, riboflavin, and selenium, while potatoes contain minerals like calcium, iron, and potassium. The nutrients found in these ingredients will give your dog energy, support his immune system, improve his joint health and help him achieve a silky coat. This formula is grain free, so it’s a great option if your dog has a wheat allergy or sensitivity. It also contains psyllium seed husk, which is a good source of fiber, and probiotics, which aid digestion and may reduce diarrhea and intestinal inflammation. The taste of this dog food is particularly good, with many buyers noticing how much their dog seemed to enjoy it. We recommend this kibble because it’s easily digestible, high in quality protein from eggs, and full of beneficial vitamins and probiotics. Also, it has a fantastic taste which sets it apart from other dog food. Chicken is the first ingredient in this wholesome dog food. Chicken is a great source of amino acids like glucosamine that promote bone health. It also helps dogs build lean muscle mass and gives them lots of energy. This kibble has fiber and prebiotics to improve your dog’s digestion. It also contains a balanced ratio of omega-3 and omega-6. It’s important that your pup gets a balanced ratio of omegas because too much omega-6 can cause inflammation in the body. There is also a fair amount of chicken fat included which has linoleic acid. This acid is essential for a dog’s health. Dogs with food allergies can enjoy this food too because it's free of corn, wheat, soy, and grains, which is one more thing we love about it. It is a highly digestible food that is suitable for most dogs with sensitive stomachs. This dog food is high in protein and chock full of fresh, real ingredients like chicken and peas, which is why we recommend it. The real, farm-raised chicken adds a nice natural touch that your dog can greatly benefit from. This is another limited ingredient dog food that’s great for dogs with food allergies and intolerances. It contains just one protein source, lamb, which is easily digestible and full of the amino acids that your dog needs to build and maintain muscle. Oatmeal, ground rice, millet, and flaxseed round out the ingredients list. All of these ingredients are easy on the tummy and good sources of fiber. There is no gluten, wheat, fillers or any artificial additives. This makes it a perfect pick for dogs with sensitive stomachs. Lamb is one of the easiest proteins to digest, which is why we recommend this dog food. We also love that it contains limited ingredients and tons of important vitamins and minerals. The fact that it is proudly made in the USA is also a big bonus. If your dog is allergic to common protein sources like beef or chicken, then this dog food is a great option. It contains turkey, which is not commonly found in dog food but is a lean, digestible, high-quality protein. Highly digestible carbs like pumpkin and potato compliment the turkey and add extra nutrients. This dog food also has a special blend of antioxidants, vitamins, and minerals selected by pet nutritionists and added fiber from chicory root and peas. The Turkey protein is also high-quality which ensures your dog receives the best nutrition. This alternative source is rare; however, it is perfect for dogs who are allergic to the main sources of protein in dog food. We love this dog food because it’s easy on the tummy, loaded with vitamins, and high in protein. It is the best pick if your dog is allergic to the main ingredients commonly found in dog food. One of the best ways to soothe your pup's sensitive stomach is by switching to a sensitive formula dog food. You should choose food with high-quality ingredients and adequate amounts of vitamins and minerals. All of the dog foods we've recommended in this article meet those requirements and are good, nutritionally sound choices. But you should still choose a new type of food carefully to ensure that it meets your dog's unique needs. Dogs get upset stomachs for a lot of the same reasons that humans do. Parasites, food allergies or intolerances, gastrointestinal disorders, and stress can all cause your pup to have unpleasant symptoms. Nausea, vomiting, loss of appetite, diarrhea and excessive gas are all reasons to see a vet, who can determine the cause of the symptoms. Your vet will run blood tests to see what's going on and may want to perform other tests and scans based on the results. Your vet might discover a gastrointestinal condition like gastritis or inflammatory bowel disease. If your pup has a digestive disorder, he may have to take medications and eat an allergy friendly, sensitive formula dog food. We recommend that you get a test done if symptoms seem minor come on irregularly. Conditions and allergies can develop quickly, and it is always better to get them diagnosed as soon as possible. Sometimes no clear cause can be found for the digestive distress your pup is experiencing. Some dogs are just born with sensitive stomachs. In this case, it will take some experimentation to figure out which food and lifestyle changes improve your dog’s symptoms. 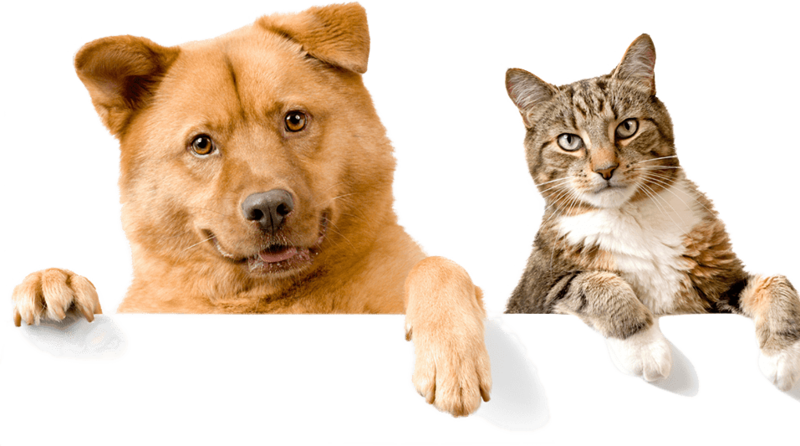 You can discuss the option with a veterinarian who will be able to describe the condition in more detail. Maybe your pet needs a slow feeder bowl to prevent him from chowing down on his food, which can cause bloating. Maybe smaller, more frequent meals throughout the day will jive better with his digestive system than his current feeding schedule. Reducing your pet’s stress levels by taking them for a walk can reduce stress levels which can cause an upset stomach. By taking a holistic approach to your dog’s digestive health, you’ll be able to manage troublesome symptoms more effectively. You can manage food allergies by having a test done. Once you have found the ingredients that trigger this allergy, you can formulate a diet that strictly avoids any foods that can cause symptoms. It is important to strictly avoid giving your dog any food that they may allergic to. Even small amounts can cause significant stomach distress and various other symptoms. It requires paying attention to what you feed your dog and always checking the ingredients list of any dog food that you buy for your pet. One of the things you’ll need to consider is your dog’s breed. Some breeds are prone to certain food intolerances. Irish Setters and Wheaten Terriers, for example, are known to be sensitive to gluten. Research your dog’s breed and see if any common food sensitivities pop up. Try removing the offending ingredient from your pup’s diet and see if there’s any improvement in symptoms. Make sure you pick a food that’s appropriate for your dog’s life stage, too. Puppies, adults, and seniors all have different nutritional needs, so you should choose a food that’s been formulated for both sensitive tummies and your dog’s life stage. You should also make sure that you pick food with a different protein source than your dog is currently eating. Some dogs can’t tolerate certain proteins, so try out a new protein and see if your pup starts feeling better. You also need to consider your dog’s specific symptoms when choosing a new food. If your dog’s main symptom is loose stools, for example, then you should choose a dog food with added fiber. Some dogs need extra fiber in their diets to bulk up their stool and prevent diarrhea. Inulin and psyllium are both great sources of fiber. If your dog passes a lot of gas, though, fiber may actually worsen the problem, so it’s very important to factor in your dog’s specific symptoms when you’re picking out food. Dogs can suffer from sensitive stomachs due to a wide range of factors and the cause isn’t always obvious. Your Vet can make some recommendations, as to which food your dog should avoid. However, in general there are specific characteristics that are found in highly digestible food. These types of foods tend to cause a dog with sensitive stomach far fewer problems. Grains are a key cause of stomach issues in dogs who have sensitivity. Therefore, anything with less grains, or easily digestible whole-grains is recommended. This includes grains such as brown rice and oats. Easily digestible food for dogs includes, chicken, lamb, brown rice, and potatoes. It is true that all dogs are different, however the vast majority can digest the above foods with ease. Therefore, you can focus on a diet that has these ingredients. It is important to look for foods that specifically contain digestion aids. This can include foods with probiotics or ones high in fiber. Both of these factors will aid digestion, and this is why many of the foods on our list contain one of the two ingredients in their food. In general, bland food tends to be the most digestible for dogs with sensitive stomachs. Basic meats and rice tend to be a good option. Many other dog foods have a wide range of ingredients, and can be quite complex. This can cause issues for dogs with sensitive stomachs, and it is a reason why the foods on our list are relatively simple and bland. Another key factor in digestibility is the ingredients present in a certain type of food. The more ingredients there are, the more likely the food is to cause digestion issues in dogs with sensitive stomachs. Of course it is important for your dog to get a full and balanced diet. However, this can be achieved through limiting unneeded ingredients such as additives and focusing on whole foods that only contain a few vital ingredients. Transitioning your dog to a new food can cause more stomach discomfort if you don't do it correctly. Just like humans, dogs have gut flora that helps break down and digest their food. It can take the gut flora a while to adjust to brand new food, so if you make the switch too abruptly, your dog may experience uncomfortable symptoms like vomiting and diarrhea. A cold turkey approach can cause a strong negative reaction in your dog. The best way to prevent this from happening is to introduce the new kibble into your dog's diet slowly. You can do this by mixing his current food in with the new food. On the first day of the transition, you should replace about ten percent of your dog's old food with the new one. Each day you should increase the percentage of the new food by ten. So, on the second day, you can feed your dog 20% new food and 80% old food, and on the third day, you can increase the percentage of the new food to 30. However, if your dog has a sensitive stomach, you should allow for up to 6 weeks before completing the transition. Additionally, you have to mix the food carefully. You should continue with a mixed diet until the stools of your dog are firm. This confirms that a healthy transition has been made. It is important to keep some things in mind when transitioning your dog's food. It is vital you take caution if you are transitioning from dry food to wet food. Canned food can be very appetizing for a dog so it may seem like a quick transition would occur. However, their stomach may not be able to handle a fast change. You should be sure to mix the canned food and dry food when transitioning properly. A transition that occurs too quickly can cause a dog with a sensitive stomach to become very ill.
We hope that this post has given you the information that you need to tackle your dog's digestive issues. A sensitive stomach can cause distress for both pet and owner. We recommend that you start by feeding your dog Purina One, it is an easily digestible dog food that will put your pup back on the road to wellness. It packs all the essential ingredients that your dog needs to thrive, and it has the perfect balance to for your pooch with the sensitive stomach.